Most leaders know the importance of culture but have little first-hand experience with how to develop a healthy, trusting, high-performance culture. Culture evolves over time. It is formed, most simply said, by “how we do things here.” Culture can and should be overtly addressed by the leadership of an organization. The culture of an organization is the legacy of its leadership. 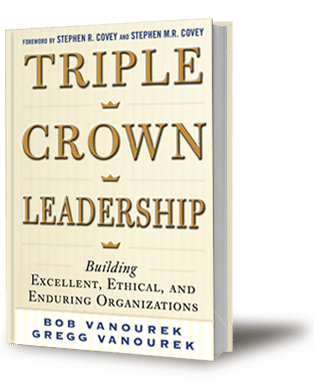 This outline of a half-day, culture-building workshop for a senior leadership team will move you well down that important road of building the healthy, trusting, high-performance culture you desire for your organization. What/who determines the culture of an organization? Place several pages of flip chart pages and colored markers in the corners of the room. Divide the group into four smaller groups. Send each group to one corner of the room to write on the flip chart pages in five minutes (in one colored marker different from the other groups’ colors) as many ideas as they can generate about how to create the desired culture. Then they rotate to the next corner with their colored marker, view the ideas of the previous group, and within five minutes write new ideas, or enhance the ideas there. Then they rotate to the 3rd and 4th stations, repeating d above, engaging in brainwalking. After four rotations, the entire group reassembles to review what has been written on all the pages. Using the brainwalking summary sheets from 5g, the facilitator elicits volunteers from the group to follow-up on the best ideas generated. Brainwalking, invented by innovation consultant and author Bryan Mattimore, is preferred to seated brainstorming because it gets people up and moving and has them divided into smaller groups where it is easier to express ideas. Culture is now on the visible agenda of the organization. The desired culture has been defined. Ideas to move towards that desired culture have been elicited. Volunteers have been found to begin the work. A Culture Guiding Coalition has now been formed to pursue the desired culture. The facilitator can subsequently meet with and coach the Guiding Coalition over several months until the desired culture-change actions have been embedded into the operational DNA of the firm. My colleague, Marla Reigel, and I have used this culture-building workshop approach to rave reviews. See Idea Stormers by Bryan Mattimore, pp. 25-29, for an explanation of brainwalking.